Rheumatoid arthritis is a debilitating inflammatory disease that affects the joints, as well as surrounding tissues and organs. It’s a painful condition and can be disabling, potentially leading to significant loss of mobility. About 1% of the global population suffers from rheumatoid arthritis, which can affect people of any age but is most prevalent from middle age onwards. 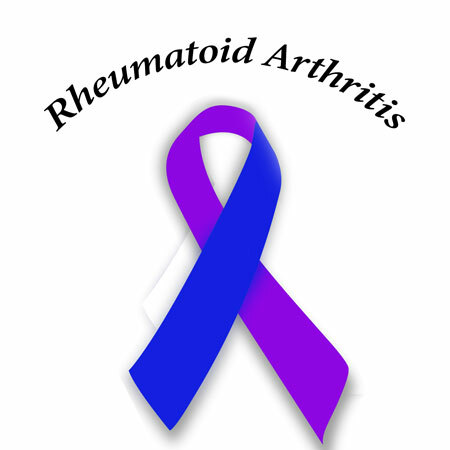 Rheumatoid arthritis is difficult to diagnose and generally requires a combination of treatments. These may include various medications, alternative therapies and, in worst-case scenarios, joint replacement surgery. Because there’s no known cure for rheumatoid arthritis, treatment is symptomatic in nature. Rheumatoid arthritis has been identified as a Chronic Disease List (CDL) condition and is eligible for state-imposed Prescribed Minimum Benefits (PMBs). This means that in South Africa, all medical aid schemes are required by law to cover costs associated with the diagnosis, treatment and care of the disease (after any applicable exclusions). However, medical aid schemes may apply medicine formularies, which specify the medicines they’ll cover, and to insist that members use their designated service providers (DSPs) to manage the condition. Medical aid schemes have chronic disease management programmes, which are designed to help ensure that members get suitable but cost-effective treatment for chronic conditions. Members suffering from CDL conditions are required to register with the appropriate programme. Generally the higher the monthly contribution you pay for medical aid, the more choice you’ll have over medications and healthcare providers, and the more benefits you’ll get. High-end medical aid plans typically provide comprehensive benefits both in and out of hospital, permit members to choose any healthcare provider and cover the cost of more expensive, non-generic medications. Mid to low-income plans are usually governed by more restrictive medicine formularies and require members to use DSPs. In these cases, members generally have to make co-payments if they choose to use non-network GPs, specialists, pharmacies or hospitals are voluntarily used. Cover for alternative therapies, such as physiotherapy or dietary therapy, may be nominal, if available at all. To shed more light on the subject, we explore the chronic condition cover provided by two South African medical aid schemes – Resolution Health and Fedhealth. you have a valid Simple Disease Activity Index (SDAI) score, which is a simple index for measuring the severity of rheumatoid arthritis. Additional benefits vary from plan to plan, in keeping with members’ differing monthly contributions. Resolution Health’s Supreme plan is the most comprehensive and therefore the most expensive option. Members of this plan have full cover for private hospitals of their choice, and surgical procedures, physiotherapy, X-rays and pathology tests conducted in hospital are covered at 100% of the scheme rate. In addition, the Supreme plan provides members with a specialised radiology benefit of R15,900 per family per annum, with a co-payment of R1,600 per incident; an internal prostheses benefit limited to R53,000 per family per annum; and a chronic medication benefit subject to an extensive chronic medication formulary. Limited out-of-hospital cover, up to R5,300, is provided to cover the services of alternative healthcare providers such as dieticians, osteopaths and podiatrists. physiotherapy benefits are capped at R1,180 per family per annum, and radiology and pathology are covered at 100% of the scheme rate, up to R4,000. Resolution Health’s entry-level Foundation plan offers unlimited in-hospital cover at network hospitals only. Members who use other healthcare providers are liable for a co-payment of R3,300. Surgical procedures, physiotherapy, x-rays and pathology are covered at 100% of the scheme rate. Internal prostheses benefits are limited to R31,800 per family per annum, specialised radiology is covered at network providers only and the chronic medication benefit is subject to the Foundation medicine formulary. There is no out-of-hospital cover for alternative therapies. Radiology, pathology and physiotherapy benefits are limited to PMBs and subject to network provider formulary lists. To qualify for chronic cover for rheumatoid arthritis with Fedhealth, you need to register with the appropriate disease management programme and apply for chronic medication once a diagnosis has been reached. You’ll be issued with a medicine access card that lists the approved medications. seven days “take home” medication after a hospital stay. internal prostheses, where no co-payments apply. Members’ day-to-day medical costs are covered from available funds in a special “out of hospital expenses benefit” (OHEB) account and from members’ savings. Cover up to R14,100 per family per year is provided for alternative medical services such as dietetics and podiatry. Biokinetics, radiology, pathology and physiotherapy costs are paid from OHEB and savings. Specialised radiology costs are paid from the major medical benefit, subject to pre-authorisation. Chronic medications are covered up to R12,200 per beneficiary, subject to an overall annual limit of 22 800 per family. There are no formulary restrictions and members can use service providers of their choice. Fedhealth’s Maxima EntrySaver is a low-cost hospital and savings plan that provides unlimited in-hospital cover at network hospitals only. This includes unlimited in-hospital benefits for medical services such as dieticians and physical therapists, and cover for specialised radiology at the Fedhealth rate. PMB cover is provided for internal prostheses. Members’ day-to-day costs for dieticians, podiatrists, physiotherapists and biokineticists are paid from members’ savings. Specialised radiology such as CT and MRI scans are paid from major medical benefits, provided pre-authorisation has been attained. Unlimited chronic medication cover is subject to a restrictive formulary at DSPs only. For more information about South African medical aids and advice about which plan is best suited to your requirements, contact an IFC consultant today.